Since the advent and widespread adoption of long-bladed synthetic turf, I haven’t had much of a need for new “indoor” shoes in quite some time. All my local indoor facilities use it, meaning I’m able to trot out in my firm ground boots whenever I play. However, now that the opportunities to play futsal in my neck of the woods are expanding — particularly on harder courts — my need for some flat-soled shoes to kick around in is growing again. As such, I’ve been keeping an eye open for one of the major players to put out a pair that tickle my fancy. 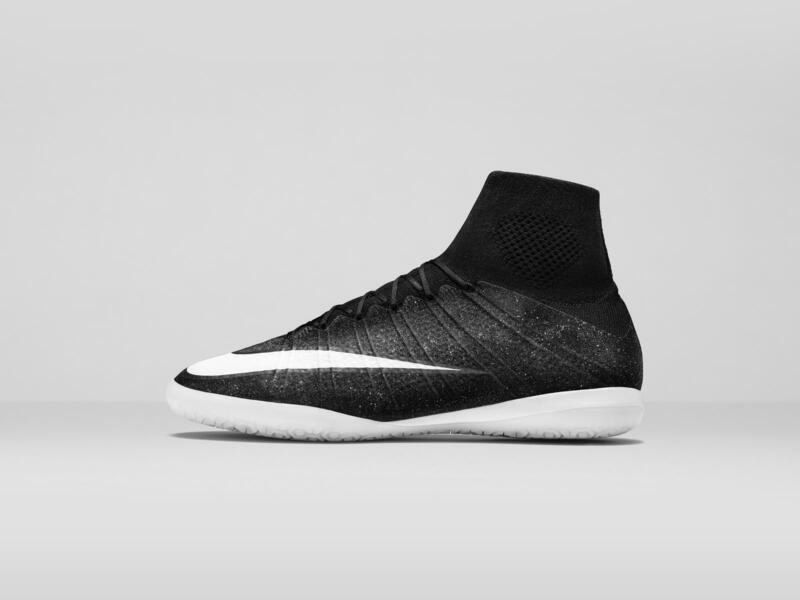 And I think my good friends at Nike have won my admiration yet again… feast on their Elastico Superfly IC SE. The latest iteration of the Swoosh’s elite indoor/futsal boots take their inspiration from the Mercurial Superfly outdoors, but feature some key improvements for harder, flat surfaces. Those include a new rubber variant in the lower profile soles that’s specifically tuned for hard floors, as well as an extra layer of the NIKESKIN last in key areas to improve durability. And with this version of the Elasticos sporting the jet black colorway from Ronaldo’s CR7 Suprerfly’s, it’s almost not even a choice that I get them… it’s a necessity. You can cop your own pair in Europe and Asia today, and they’ll be available in the US starting January 10th.